THe perfect spot for you. Hotel Partana is a 6-room boutique hotel located in the heart of Baja's Wine Country — Valle de Guadalupe. The hotel is surrounded by vines, mountains and spectacular views that can be enjoyed on its upper-deck, with a glass of your favorite Valle de Guadalupe wine in hand. Our rooms are equipped with king size beds and comfortable linens. A/C, T.V. and WiFi. The rooftop of our rooms offers 360º sweeping views of the valley and neighboring vineyards. Hotel Partana is located at the center of Baja California's emerging wine country. It is the perfect destination for the oenophile and food-centric traveler. 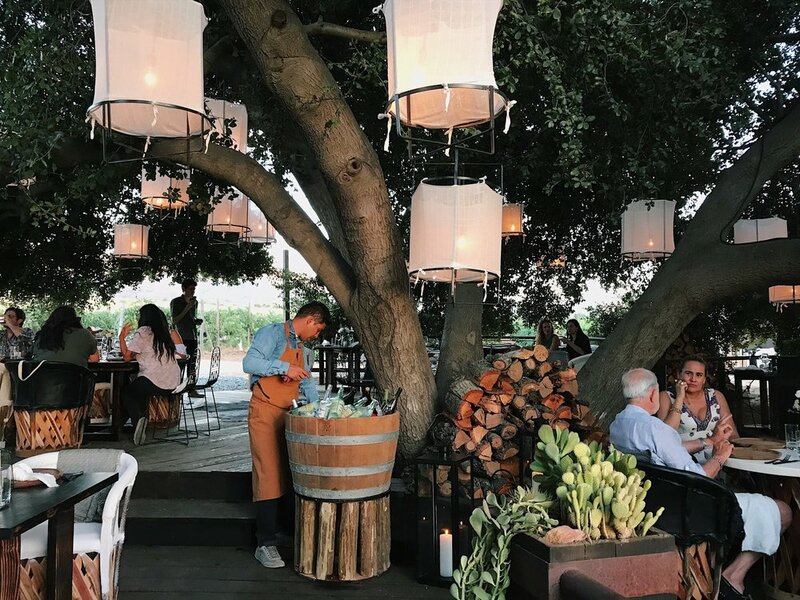 Besides producing some of North America's renowned wine, the Valle de Guadalupe is known for its high-end dining offerings. Steps away from Hotel Partana you can dine under a centennial oak tree at Animalón by Chef Javier Plascencia.